Imagine going into your favorite store and finding that everything fits you perfectly, comes in your favorite color and fabric and is 75% off. 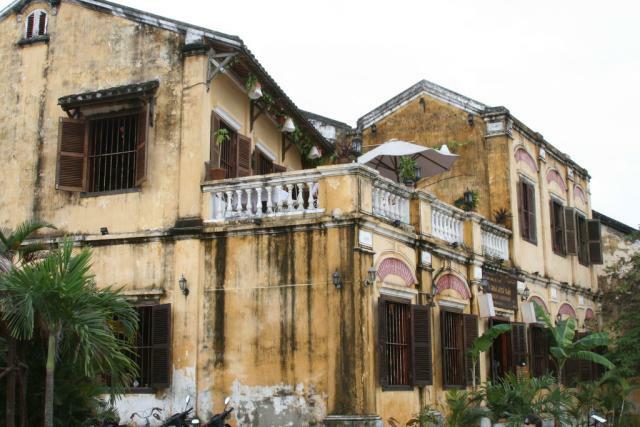 That pretty much sums up our time in Hoi An, Vietnam. The town was a major port until its river began to dry up; it now finds its commercial edge in the more than 500 tailor shops that line its quaint streets. I entered one such establishment, Yaly Couture, armed with printouts from the J. Crew website. Two days later, I shipped home the beginnings of a new, custom-made wardrobe, all purchased at prices dramatically lower than I would’ve paid for the authentic stuff. Even Derek got into the act and bought a new suit (though, in order to preserve his masculinity and because it’s actually true, I have to admit that he wasn’t quite as excited as I was). The town is geared toward the gaggles of tourists who come to shop. Store after store offers up shoes made to match their new purchases, and excellent restaurants and sidewalk cafes wait to serve those suffering from shopping spree-induced fatigue. 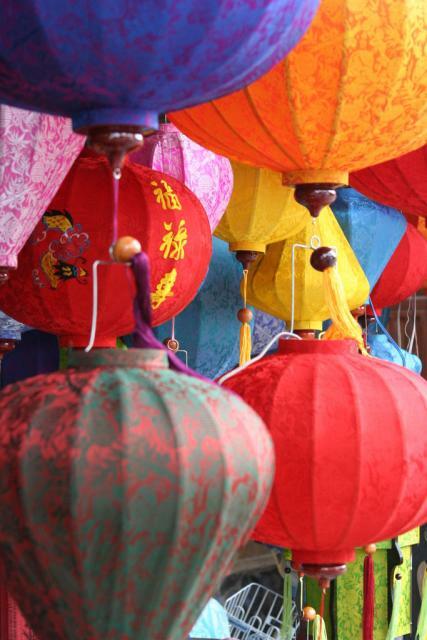 People taking a break from consumerism can spend a pleasant few days wandering the streets of Hoi An’s historic Old Town; they’re lined with art galleries, shoe stores, Chinese lanterns and French colonial buildings and are ridiculously charming. Just 15 minutes outside the city are the gorgeous beaches popularized in the late-80’s sitcom, China Beach. During the Vietnam War (or, as it’s known here, the “American War”), U.S. soldiers stationed all over the country retreated to this long strip of white sand for some R & R. Today, it’s barely developed, but signs announcing the impending construction of new, luxurious mega-hotels are everywhere. Like so many other places, this one likely will be nearly unrecognizable in a few years. 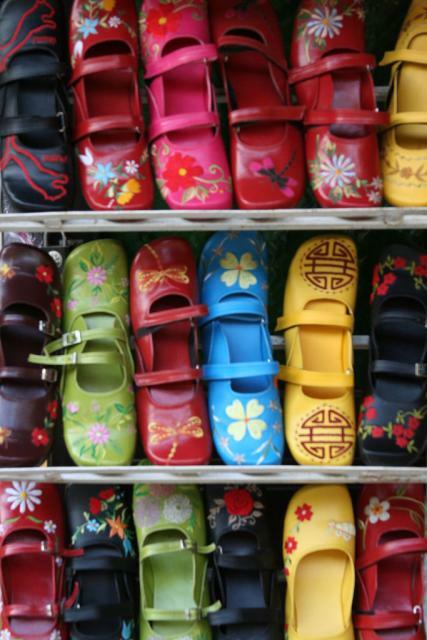 Until then, however, Hoi An has something–shopping or otherwise–for everyone, and it all seems to be a great bargain.